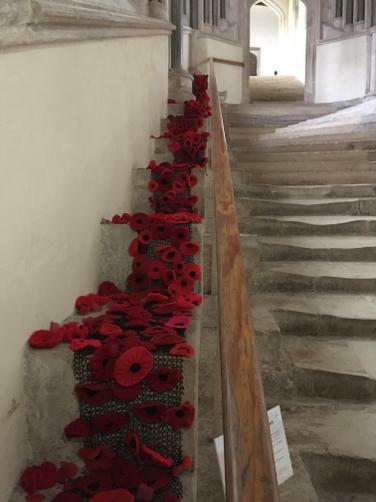 Knitting club, children across school, staff and the wider community spent many weeks last half term knitting poppies for an exhibition in Wells Cathedral over the half term as part of the commemoration of the centenary of WW1. 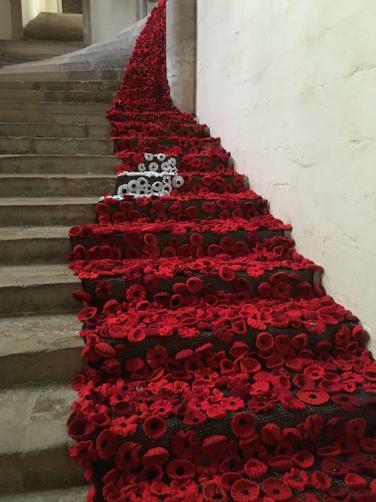 Thank you to Mrs Harper and all the knitters that contributed. 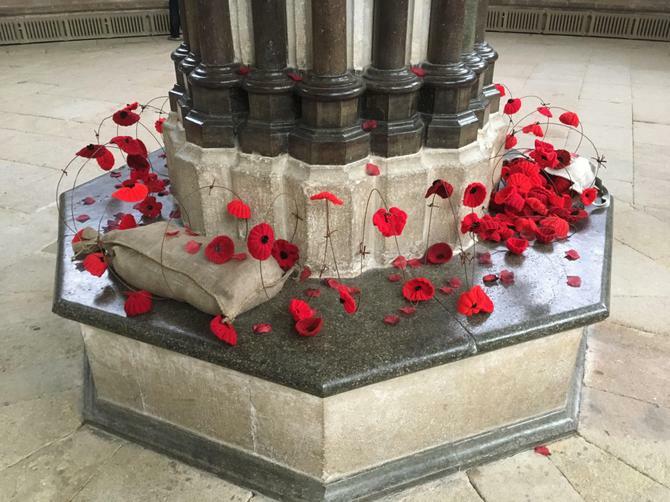 The display is thought provoking and moving as we reflect on the lives of all those involved in conflict. 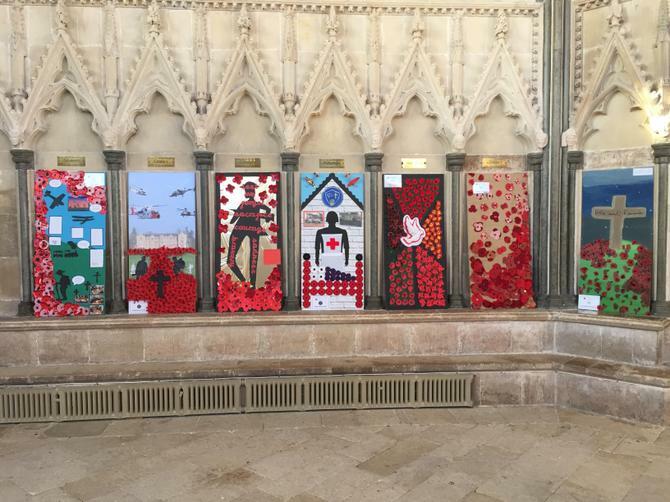 As well as the poppies, the exhibition shares a collection of boards created by Bath and Wells Multi Academy Trust schools. These boards depict different aspects of the War and ours has been carefully created by Year 5 as part of their World War Learning Expedition. 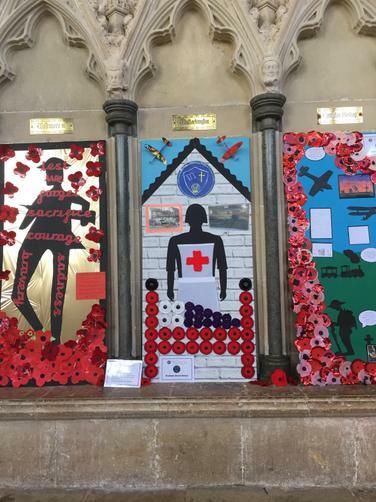 Creatively directed by Mrs Lockyer, the team created a tribute to the school’s involvement as a Red Cross Hospital, which the children across the school learned more about on Thursday 8th November during our Red Cross day.